1. 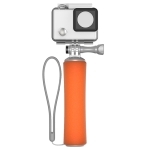 30m deep water waterproof shell + foam buoyancy rod to help your perfect underwater experience. 2. 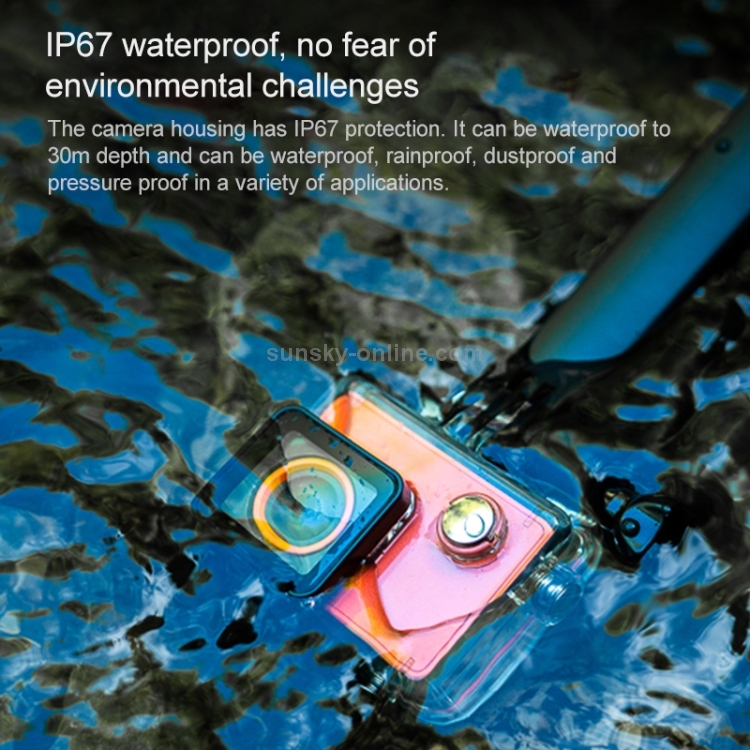 The seabird camera waterproof case has IP67 protection capability, can achieve 30m depth waterproofing, and can realize waterproof, rainproof, splashproof, dustproof and pressure proof functions in various application environments. 3. 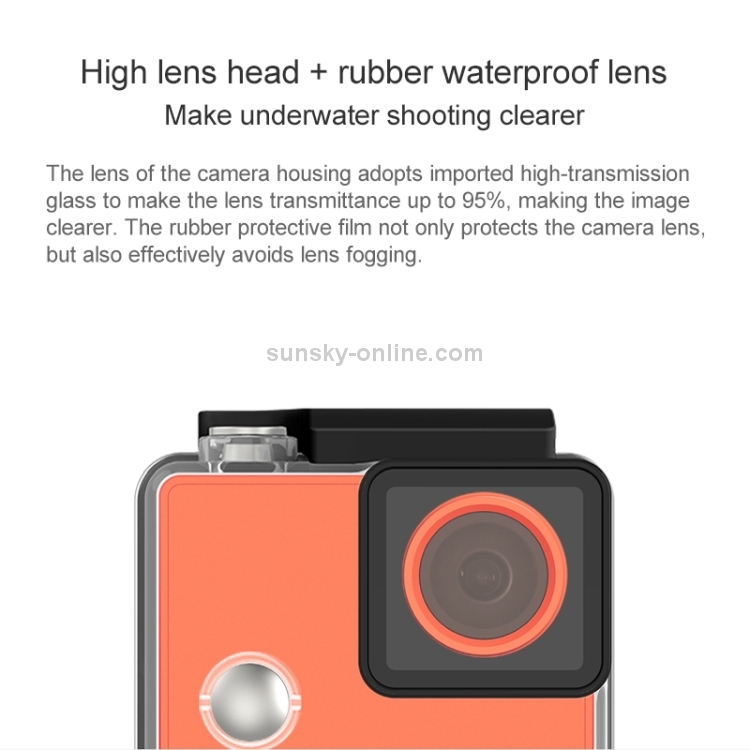 The lens is made of high-transmission glass, which makes the lens transmittance up to 95%. Make the image clearer. 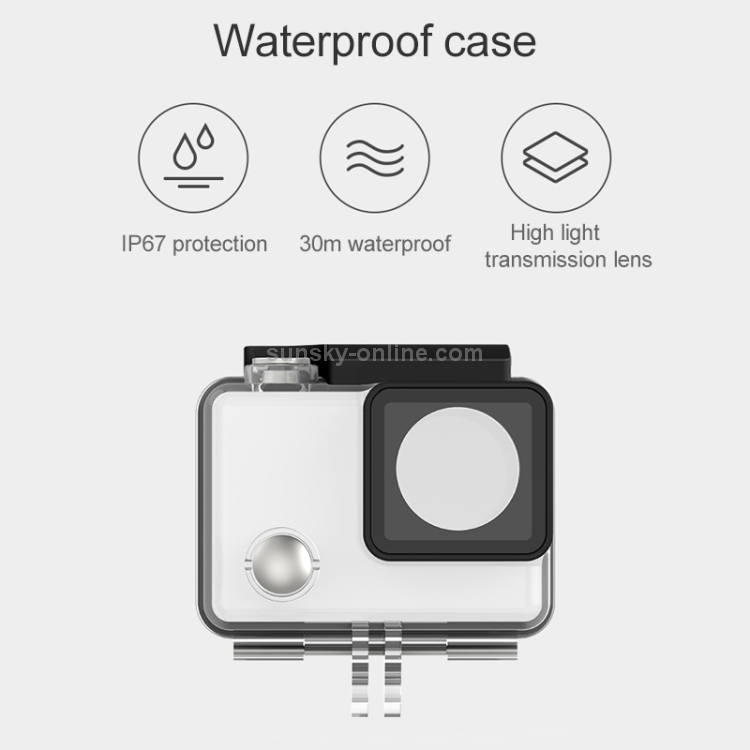 The rubber protective film not only protects the camera lens, but also effectively prevents the lens from fogging and fully utilizes the camera shooting performance. 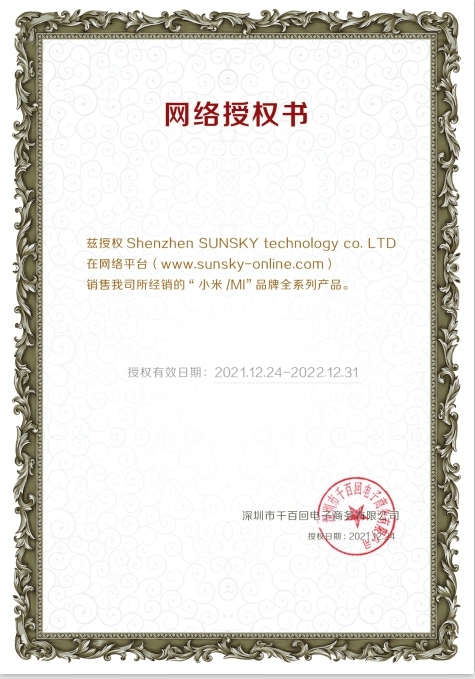 The shell material is pure PC and highly transparent. 4. The magazine button and the buckle design. One-quarter-foot standard threaded holes and retaining ring slots make it easy to remove, secure and stable, and easily adapt to seabird cameras. 5. Metal parts are made of corrosion-resistant CNC Seiko stainless steel, compatible with a wide range of third-party accessories, suitable for a variety of shooting scenes. 6. 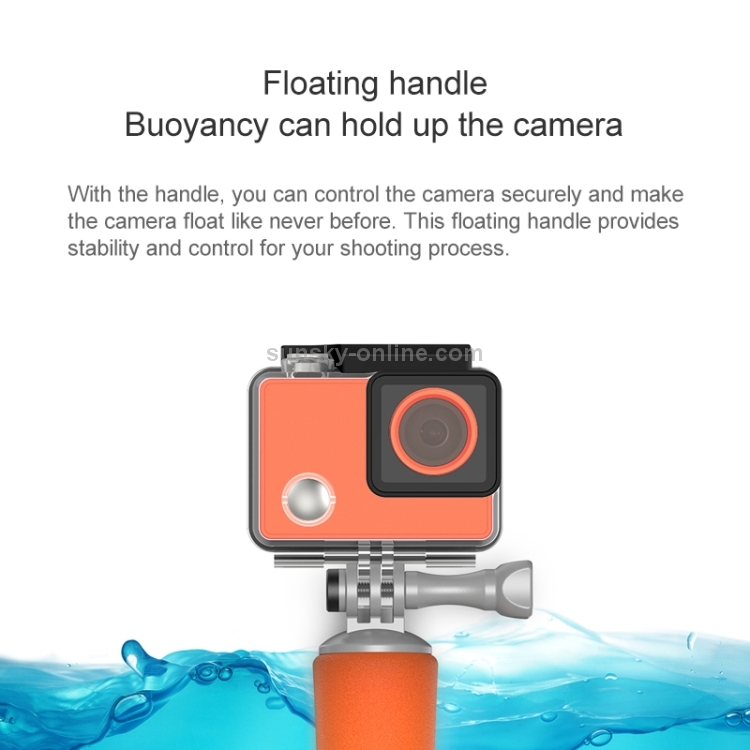 Floating handle, buoyancy can hold up the seabird camera. 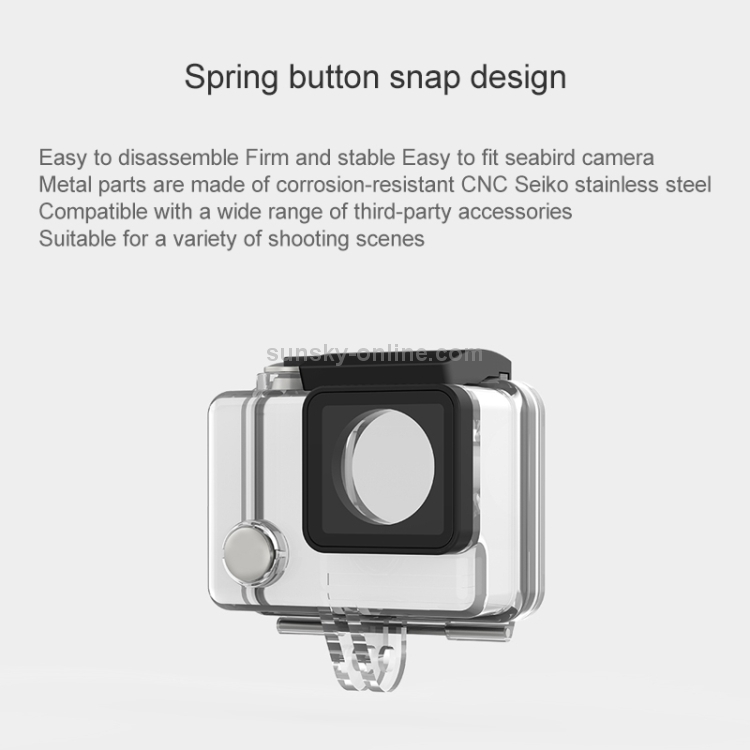 The camera can be firmly controlled, enabling the seabird camera to float as never before. This floating handle provides stability and control for your shooting process. 7. Comfortable, non-slip construction for a firm grip. 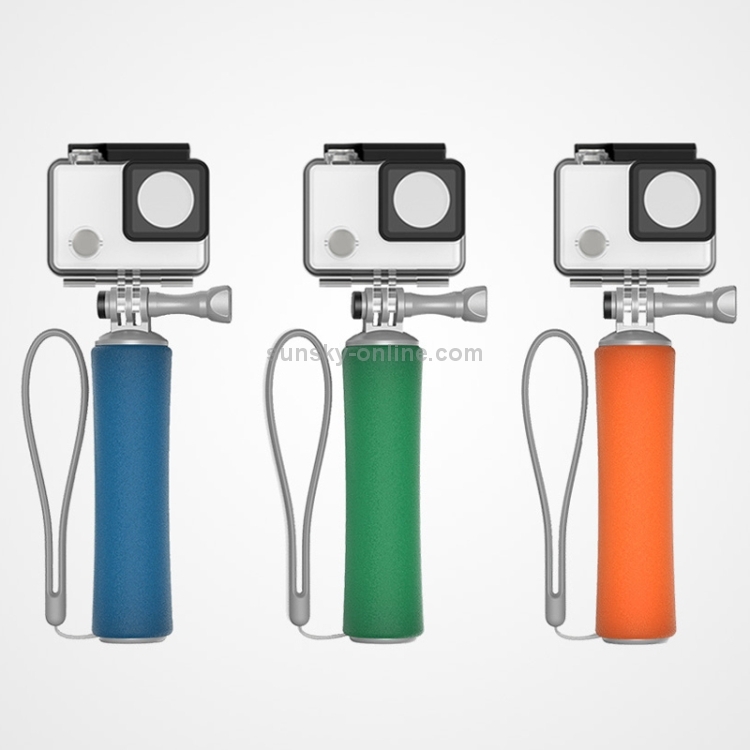 You can easily aim at the camera and shoot from different angles. 8. Includes a wrist strap for additional layers of security. 9. With quick release base, it is easy to switch the fixed seat. 1. 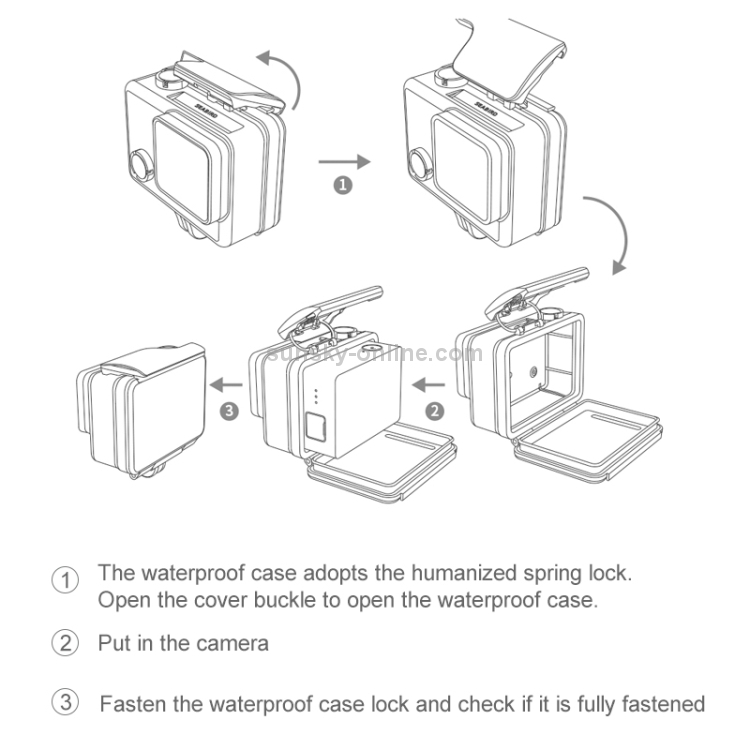 The waterproof case is made of humanized spring lock, and the cover buckle can be opened to open the waterproof case. 2. Put in the camera. 3. Fasten the waterproof case lock and check that it is fully fastened. 1. Fasten the floating raft and the waterproof case and tighten with screws. 2. When using the water, please put on the wrist strap and hold the shaft. Tips: Do not force the screw into the floating water hole of the watertight case. 2. 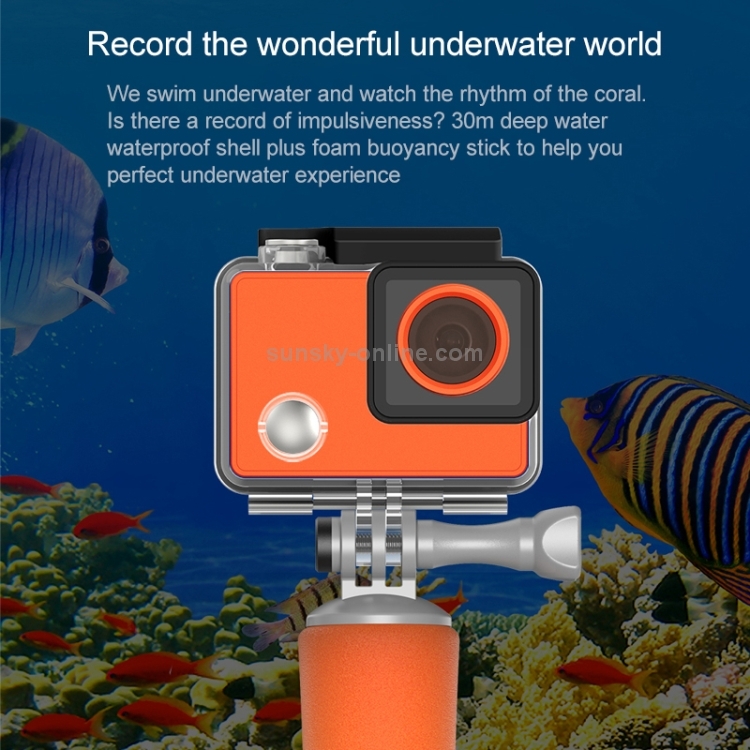 Waterproof depth: 30 meters underwater. 4. 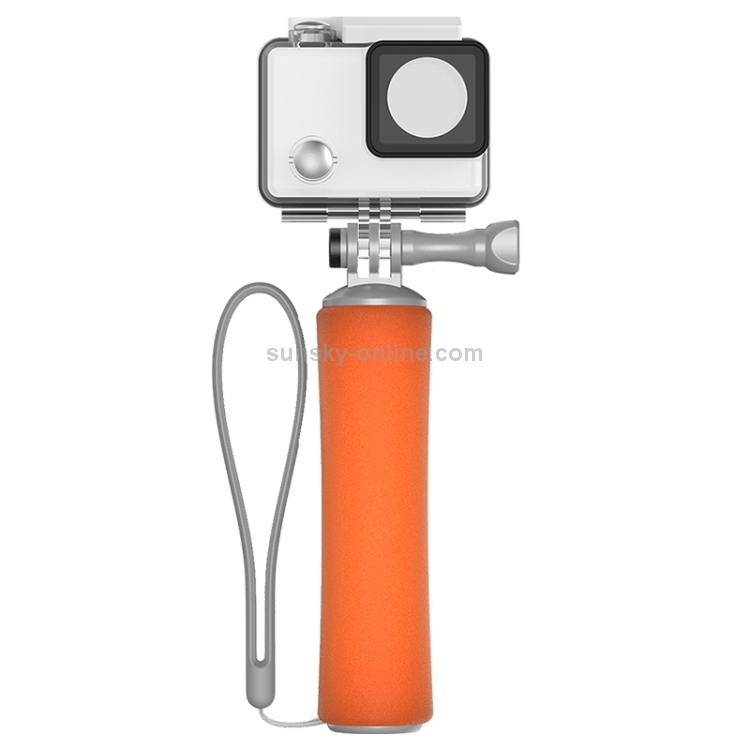 Product use: Suitable for surfing, swimming, diving and other self-timer.